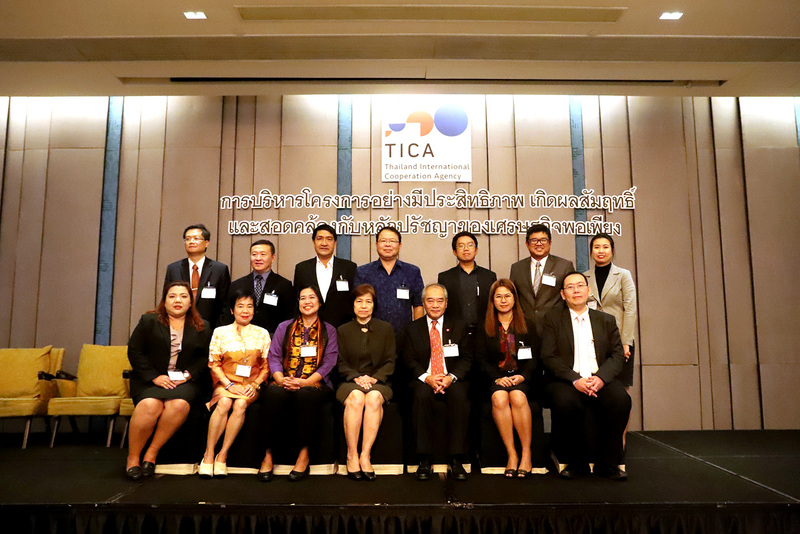 On 31 January 2019, the Thailand International Cooperation Agency (TICA) organised a forum on “Project Management with Result-Based Approach and in accordance with Sufficiency Economy Philosophy” to open a platform for experts from various Thai implementing agencies involved in bilateral and trilateral cooperation projects to exchange knowledge and experiences as well as lessons learned on applying result-based management tools and the concept of Sufficiency Economy Philosophy (SEP) to international cooperation projects. 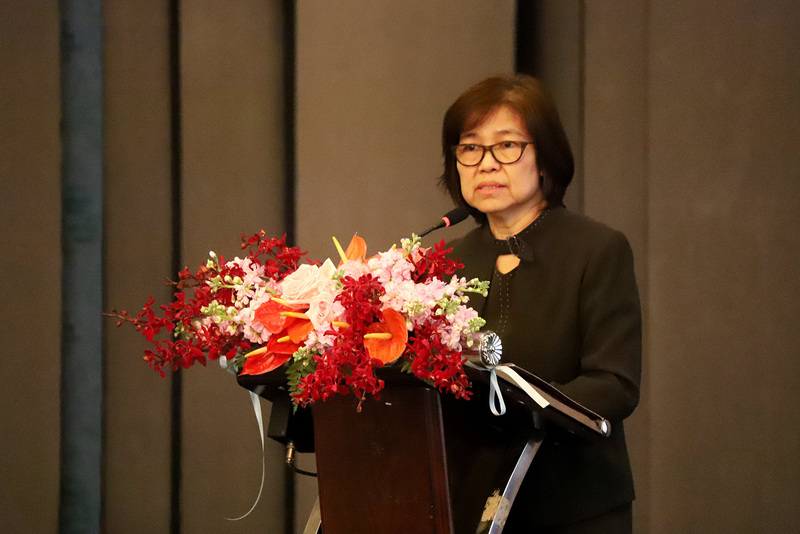 This forum also provided a session for all participants to draw good practices from the cooperation work, find ways to improve coordination among involved agencies and to achieve Sustainable Development Goals (SDGs), for which Thailand has adopted SEP as a guideline for development cooperation – the so called “SEP for SDGs Partnership” policy. The forum was joined by some 100 participants from government agencies, universities, and other organisations interested in international development cooperation. 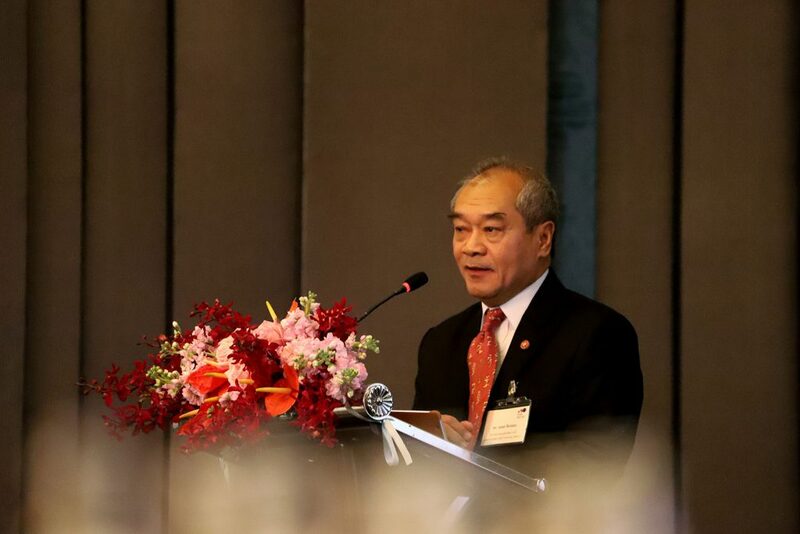 The highlight of the forum was a speech by Dr. Royol Chitradon, Director and Secretary General of Utokapat Foundation under Royal Patronage and the former Director of the Hydro and Agro Informatics Institute, on applying the SEP concept to different water resource management projects in Thailand. He stressed that identifying the cause of problems with systematic research and data collection, the adoption of concepts and tools for implementation according to the context of the target areas without sticking to the theory, and transferring knowledge while encouraging local participation and ownership are the main factors in sustainability. Experts from implementing agencies, namely, the Department of Agriculture, the State Audit Office of the Kingdom of Thailand, Sukhothai Thammathirat Open University, and the Community-Based Tourism Institute shared their experiences of integrating SEP concepts with international cooperation project management in different countries during the panel discussion session. The panel discussion was followed by a session called Market Place, where participants could choose to join 4 out of 7 stations featuring different topics to learn and exchange principles and tools that are useful for managing and implementing development cooperation projects. The topics featured in the 7 stations were 1) SEP; 2) Design and Planning for Development Projects; 3) Capacity Development for Sustainability; 4) Facilitation, Participation and Ownership; 5) Effective Communications; 6) Success Factors for Project Management and; 7) Resulted-Based Monitoring and Evaluation. The last 2 sessions of the event provided opportunities for the participants to suggest good practices for international cooperation projects to achieve the goal across 5 dimensions; relevance; effectiveness; efficiency; sustainability; and impact prospect; and to provide recommendations for the guidelines for cooperation among involved agencies to increase its level of effectiveness. 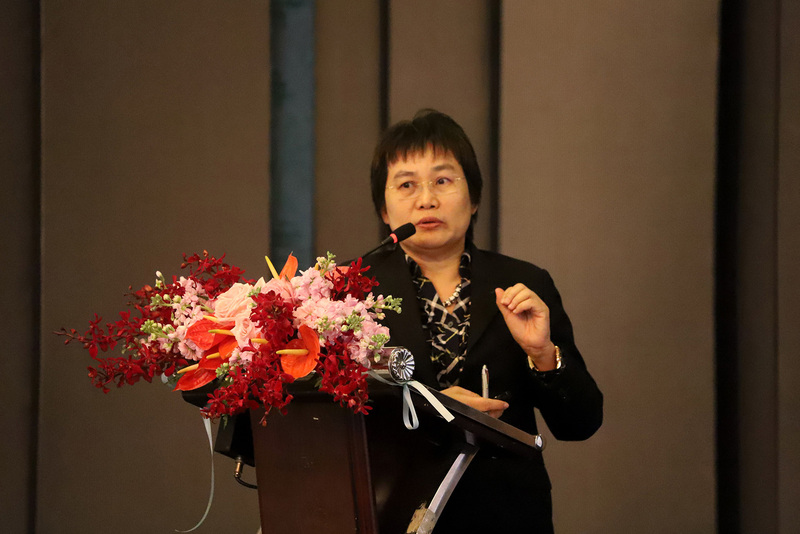 TICA expected that the lessons learned, good practices and knowledge shared in this forum would help shape clearer and more effective international cooperation planning and direction among the partners involved. 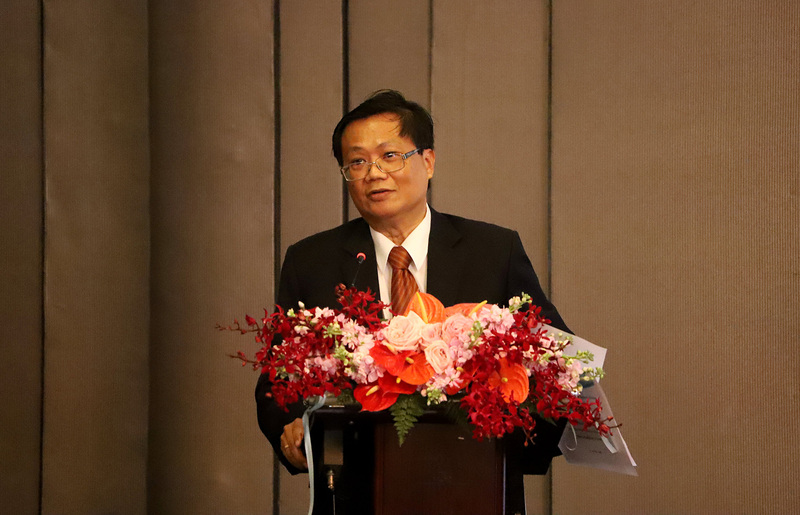 The Forum was organised under the Thai-German Trilateral Cooperation programme, implemented by TICA and GIZ. GIZ provided support for the programme, facilitation and information materials for this Forum. 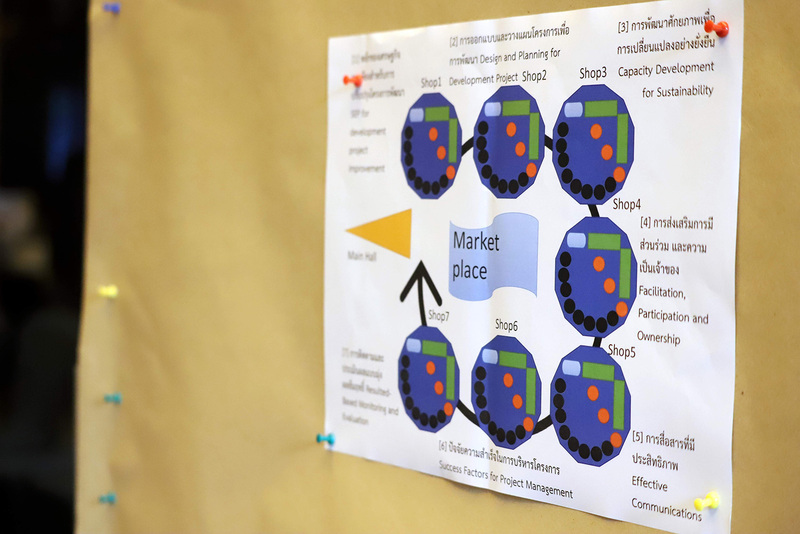 Integration among the stakeholders at the beginning of the project. Starting from a pilot then scaling up the project. Creating a “Role Model” for expansion of results. Creating innovations for cost deduction, using resources efficiently. Having facilitators and giving them the freedom to interpret SEP according to the context. Presenting the value added of SEP empirically and interrelating SEP with other principles. Drawing lessons learned that show how SEP contributes to sustainability.